Materials: wood and resin with dried flowers. Please leave your contact number so that the courier can contact you if you are not here. A lovely handmade wood resin pendant. 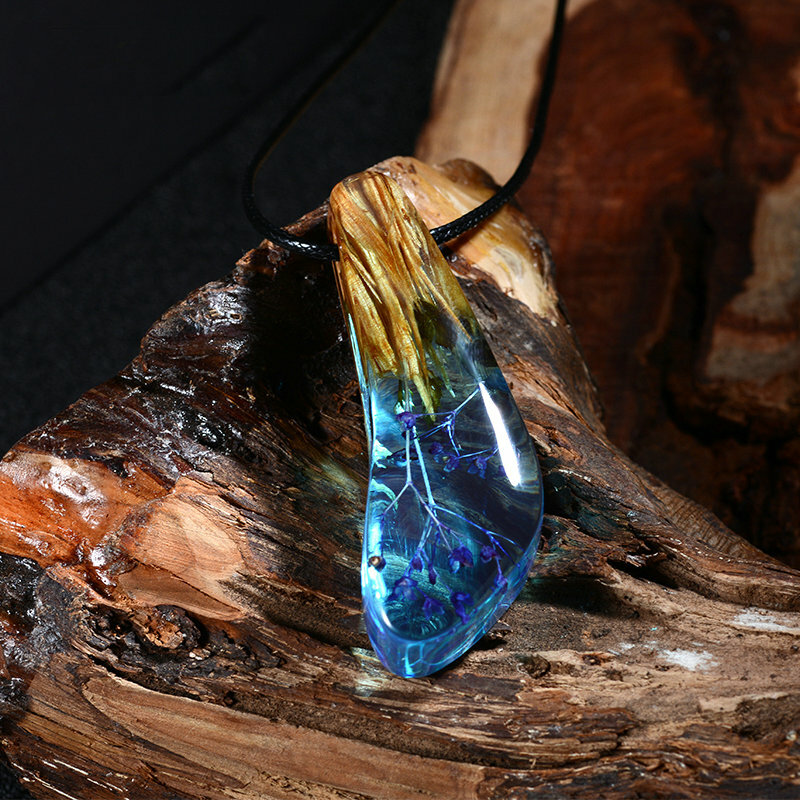 This beautiful resin wood pendant is a fusion of burl wood and blue resin with dried flowers. The piece shown in the picture is to show the shape, color, and style of the pendant you are buying. There may be slight variation in the color and appearance of the pendant you receive as each piece is lovingly handmade. My process includes cutting, shaping and sanding the piece by hand one at a time. This resin wood necklace is beautifully crafted and would make a unique gift for Mom or that special lady in your life for any occasion. Or keep it for yourself and this unique necklace would add art to your workwear, add some beauty to your evening wear or you could keep it casual and pair it with jeans! If you have always wanted a one of a kind necklace, then this is the one for you. It would make one of a kind gift! Shooted with just a mobile phone, without any software modifications.